At the end of last week's parsha, after Joseph intepreted the dream of Pharaoh's wine steward and told him that he would be freed from prison, he asked the wine steward to intercede on his behalf with Pharaoh. Yet, upon being freed, the wine steward immediately forgot Joseph and did nothing for him. Parshas Mikeitz begins exactly two years later, when Pharaoh is himself experiencing a dreams that no one is able to explain. Suddenly the wine bearer remembers Joseph, the man who had interpreted his own dreams while he had been in prison. The Midrash seems to indicate that by asking the steward for help, Joseph demonstrated insufficient bitachon – trust in God. This is extremely puzzling, as we know that it is permitted, even required, to make normal efforts to solve our problems. We are not supposed to simply sit back and wait for God to miraculously help us. So what was wrong with what Joseph did? 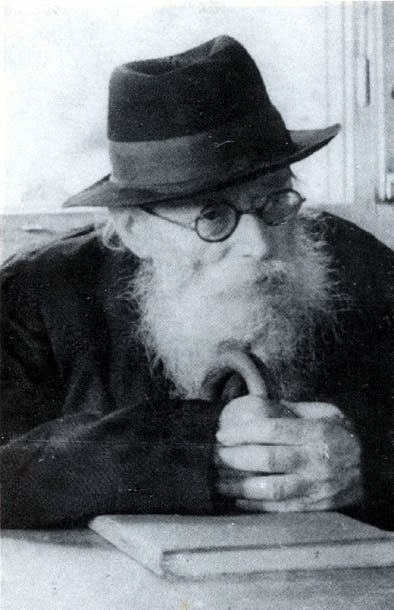 The Chazon Ish, Rav Avraham Yeshaya Karelitz (d.1953), in his work אמונה ובטחון, explains that the true essence of bitachon is an absolute certainty that God is always in control of events. A person who genuinely believes this will therefore never give up hope or act out of desperation, because he knows that even if he is not able to do anything himself, God is still in control. When a person who feels a sense of desperation, i.e. that he has a problem for which he can find no reasonable solution, he will often attempt to solve his problem through methods that are extremely unlikely to succeed. He will do strange and unusual things because he believes that he has run out of alternatives. However, a person with genuine bitachon will never do this, because he always has God to fall back on. In other words, while we are required to take normal, rational steps to care for ourselves, and we are not permitted to simply rely on God to miraculously provide us with all our needs and solve all our problems, this does not mean that bitachon has no practical expression. Bitachon means that once one has exhausted all reasonable means to deal with a problem, then the problem is no longer your responsibility. A person with genuine bitachon never feels that he has to "do something", no matter how crazy, because "doing something is better than doing nothing." From a Torah perspective, if the "something" is nothing more than a shot-in-the-dark act of desperation, then doing nothing actually is better than doing "something", for doing "something" demonstrates that one doesn't really believe that God is in control. Based on this concept, the Chazon Ish explains that the nature of Egyptian society was such that it was extremely unlikely that the wine steward - a high ranking nobleman - would repay Joseph - a foreign slave - by mentioning him to the king. Thus, when Joseph asked the steward to remember him and mention him to Pharaoh, he knew that this was really just a wild "shot-in-the-dark", and that it was extremely unlikely to succeed. Such an act of desperation expressed a lack of bitachon that was inappropriate for a person on Joseph’s high spiritual level.